The Living Room Stage is thrilled to share with you their full line-up for the 22nd Annual Shambhala Music Festival. The Living Room is happy to present to the people a ‘groove based’ musical flow; putting dance back into dance music. With an almost completely different lineup from last year, they have rotated a few sham faves back into the fold, as well as showcasing a tasteful bass lineup. 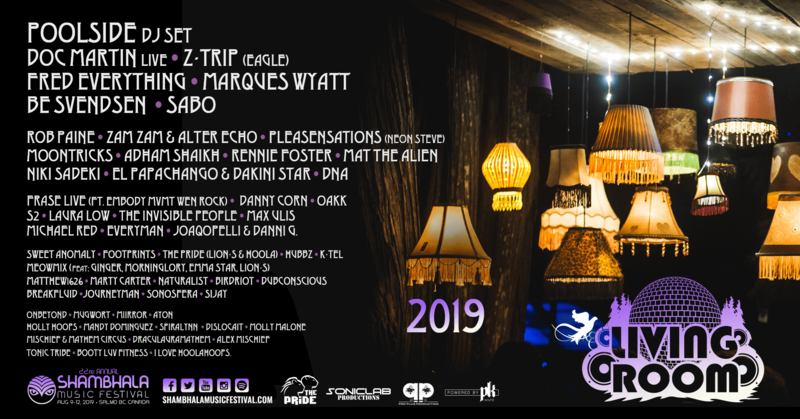 Come experience where disco truly lives in the land of Shambhala as well as enjoying a showcase of deeper house sets, some house music LEGENDS and a variety of performance artists. Rock out to a full PK system, and a full array of LED panel visuals, lights, lasers and lamps – The Living Room is a feast for the senses. Follow The Living Room Stage Facebook Page for artist highlights. 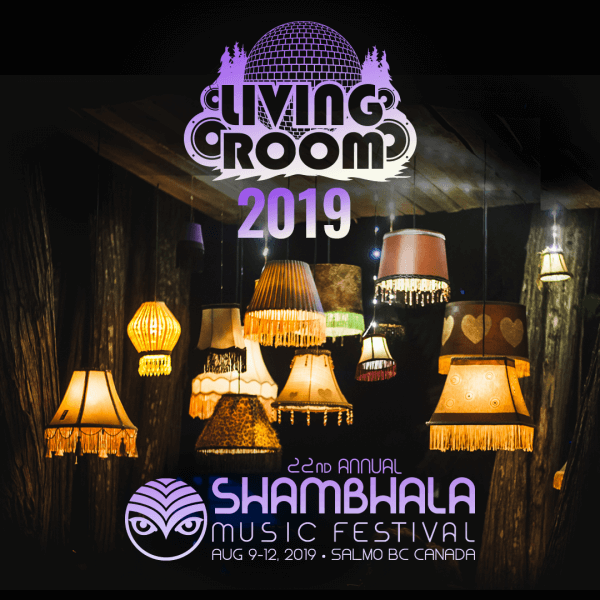 Listen to The Living Room Stage #Shambhala2019 Playlist to get into the Living Room state of mind.